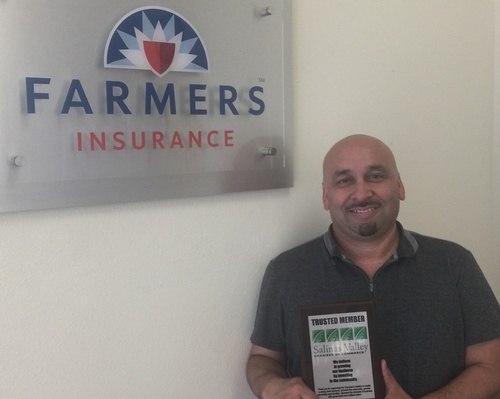 As a 20-year resident of California, I'm proud to serve Salinas as your local Farmers® agent. I bring a family-oriented approach and take the time to listen to all of my clients at my agency, where we pride ourselves on providing outstanding customer service and ensuring each client is educated on the coverage options to suit their specific needs. Located off HWY 101 right by the Costco Warehouse, my agency will ensure this process is straightforward and personalized to help you select the most comprehensive, cost-effective solution. I have the knowledge and skill-set to help you better understand your coverage options--whether that's auto, home, life, commercial and more. Give me a call at (831) 663-9624 and I'll be happy to answer any questions you might have. Located off HWY 101 right by the Costco Warehouse in Salinas.